Details of an odd art dispute are unfolding in Florida. A law firm is being sued by its client for failure to release this work, allegedly by Degas. All the red flags are up in this case, yet it wasn't the auction house Sotheby's which delayed the auction, but rather a dispute over legal fees and a $1 million retainer. In August, a pleasantly cool month in Chile, Bonati was in Santiago, where he and McInnis boarded the chartered, nine-seat Cessna. The plane refueled in Ecuador and landed in Fort Lauderdale after the 4,000-mile flight. As the men headed for the terminal, they drew suspicion because of what the law firm later called their "bizarre'' conduct. "Bonati carried the multi-million dollar painting in his arms as the pair made their way across the tarmac . . . while McInnis walked alongside with a gun holstered at his waist,'' the firm said in a court filing. Anyone taking more than $10,000 in currency into or out of the country must file a report with customs. Paintings and other original works of art also must be declared, though most are allowed to enter the United States duty-free. But with art theft a major international problem, U.S. Immigration and Customs Enforcement has stepped up efforts to ascertain the ownership of potentially valuable works. 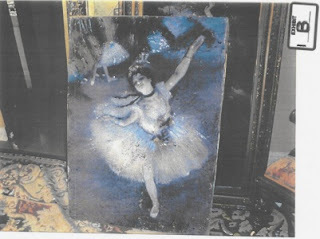 In January, the agency returned to France a Degas painting stolen from a museum there in 1973. 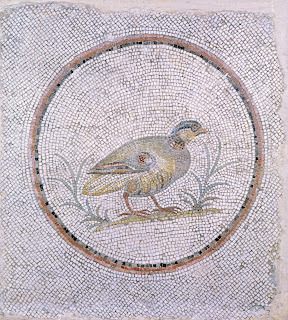 It resurfaced last fall in the catalog of a Sotheby's auction in New York. That episode "shows why we take an interest in these kind of cases and if it is stolen, returning it to its rightful owner,'' says Danielle Bennett, an ICE spokeswoman. Susan Taylor Martin, Doctor's legal battle reveals potential art trove, St. Petersburg Times, March 6, 2011, http://www.tampabay.com/news/courts/civil/doctors-legal-battle-reveals-potential-art-trove/1155579 (last visited Mar 8, 2011).